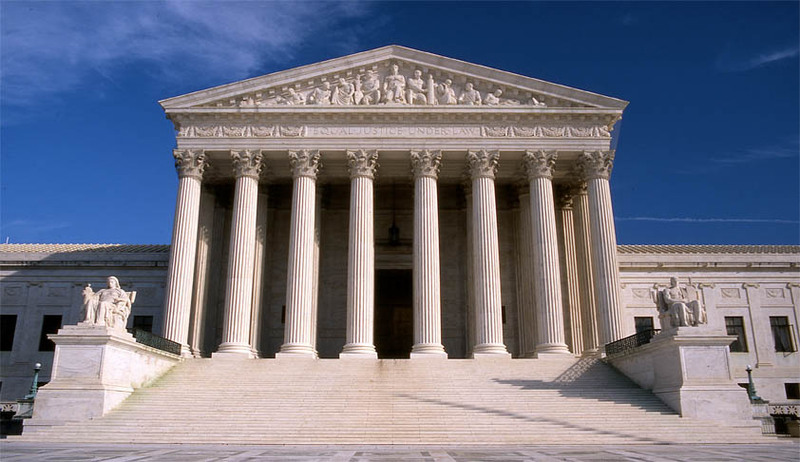 The U.S. Supreme Court ruled on Monday that a Los Angeles ordinance that required hotel operators to record and keep specific information about their guests on the premises for a 90-day period which were to be made available to any officer of the Los Angeles Police Department for inspection without warrant, failing which the hotel operator’s failure to make the records available was to be treated as a criminal misdemeanor violates the privacy rights of business owners. The respondent-hotel owners brought a Fourth Amendment challenge to a provision of the Los Angeles Municipal Code that compels “[e]very operator of a hotel to keep a record” containing specified information concerning guests and to make this record “available to any officer of the Los Angeles Police Department for inspection” on demand. [Los Angeles Municipal Code §§41.49(2), (3)(a), (4) (2015)]. The ordinance requires hotel and motel operators to collect a detailed list of information on each guest, including name and address, car model, license plate number and method of payment.The records were to be made available for inspection by the police department at any time, without a warrant. The questions presented for consideration before the Court were whether facial challenges to statutes can be brought under the Fourth Amendment and, if so, whether this provision of the Los Angeles Municipal Code is facially invalid. The Court by a majority of 5 to 4 answered the issue holding that facial challenges can be brought under the Fourth Amendment, and that the provision of the Los Angeles Municipal Code that requires hotel operators to make their registries available to the police on demand is facially unconstitutional because it penalizes them for declining to turn over their records without affording them any opportunity for precompliance review. In 2003, respondents, a group of motel operators along with a lodging association, sued the city of Los Angeles (City or petitioner) in three consolidated cases challenging the constitutionality of §41.49(3)(a) of the Municipal Code. They sought declaratory and injunctive relief. The parties “agree[d] that the ole issue in the . . . action [would be] a facial constitutional challenge” to §41.49(3)(a) under the Fourth Amendment. They further stipulated that respondents have been subjected to mandatory record inspections under the ordinance without consent or a warrant. Following a bench trial, the District Court entered judgment in favor of the City, holding that respondents’ facial challenge failed because they lacked a reasonable expectation of privacy in the records subject to inspection. A divided panel of the Ninth Circuit affirmed on the same grounds [686 F. 3d 1085 (2012)]. On rehearing en banc, however, the Court of Appeals reversed. The en banc court first determined that a police officer’s nonconsensual inspection of hotel records under §41.49 is a Fourth Amendment “search” because “[t]he business records covered by §41.49 are the hotel’s private property” and the hotel therefore “has the right to exclude others from prying into the[ir] contents.” Id.,at 1061. Next, the court assessed “whether the searches authorized by §41.49 are reasonable.” Id.,at 1063. Relying on Donovan v. Lone Steer, Inc. 464 U. S. 408 (1984), and See v. Seattle, 387 U. S. 541 (1967), the court held that §41.49 is facially unconstitutional “as it authorizes inspections” of hotel records “without affording an opportunity to ‘obtain judicial review of the reasonableness of the demand prior to suffering penalties for refusing to comply.’” 738 F. 3d, at 1065 (quoting See , 387 U. S., at 545). Los Angeles appealed to the U.S. Supreme Court after the San Francisco-based 9th U.S. Circuit Court of Appeals struck down the ordinance in December 2013. The City principally contended that facial challenges to statutes authorizing warrantless searches must fail because such searches will never be unconstitutional in all applications. In particular, the City points to situations where police are responding to an emergency, where the subject of the search consents to the intrusion, and where police are acting under a court-ordered warrant. The city called the law crucial to efforts to reduce criminal activity, especially in so-called parking meter motels that charge by the hour and are often used for prostitution and other crimes. The Court noted that hotel operators can be arrested on the spot if they refuse to give police access to their records. As such, the law could be used "as a pretext to harass hotel operators and their guests," Sotomayor wrote. The Court held that the impugned provisions of the Los Angeles ordinance are facially unconstitutional because it fails to provide hotel operators with an opportunity for precompliance review. “To be clear, a hotel owner must only be afforded an opportunity for precompliance review; actual review need occur only when a hotel operator objects to turning over the records. This opportunity can be provided without imposing onerous burdens on law enforcement. For instance, officers in the field can issue administrative subpoenas without probable cause that a regulation is being infringed. This narrow holding does not call into question those parts of §41.49 requiring hotel operators to keep records nor does it prevent police from obtaining access to those records where a hotel operator consents to the search, where the officer has a proper administrative warrant, or where some other exception to the warrant requirement applies,” said the majority for the Court. The court's four liberals were joined in the ruling by Anthony Kennedy, a conservative who often casts the decisive vote in close cases. Justice Antonin Scalia wrote a dissenting opinion saying the ruling would hamper law enforcement efforts. "Criminals, who depend on the anonymity that motels offer, will balk when confronted with a motel's demand that they produce identification. And a motel's evasion of the recordkeeping requirement fosters crime," Justice Scalia wrote in her dissenting opinion. Justice Sotomayor writing the judgment for the majority, said police will still be able to make surprise inspections by getting a warrant or when an officer suspects the hotel operator might tamper with the registry.